Do you have a quilt that needs binding? Is there an applique project that needs finishing? Then perhaps you would be interested in joining the "Wednesday Sew What's" Club. The cost is a $5.00 donation per meeting which will benefit the local school Snack Pack programs. Requirements: This is a hand work club. 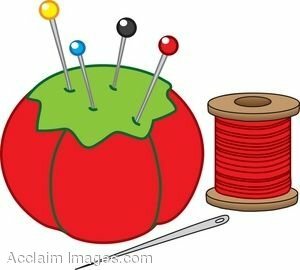 Bring any sewing handwork you are working on or a hand work project you want to start and join us for some camaraderie in our "Happy Place". The cost is a $5.00 donation which will benefit our local school Snack Pack Programs.